We wanted to write something to try and answer some of the most asked questions surrounding nutrition and how a performance nutrition therapist can help. Everybody eats so nutrition is at the forefront of everyone’s mind and part of the reason for there being so much conflicting information, is that everyone has an opinion! Although some of the time, these opinions are not based on evidence, so they remain an opinion not a strategy. Performance nutrition is all about strategy. 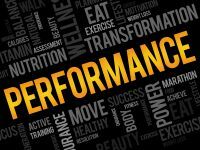 In this blog we focus on how performance nutrition affects an athlete however this strategy can and is applied to anybody. Improving the amount and types of foods eaten before, during and after a training session. 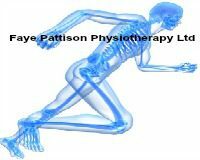 Although things that might affect this are; the training phase of the athlete and athletes; in the past studies have found this can increase the amount of training that can be completed and the session intensity that can be achieved. Eating the correct balance of nutrients (primarily protein and carbohydrates) can affect an athlete’s body and gets the most gains from the session (i.e. strength or endurance gains). It assists with recovery allowing the athlete to train again within a short period of time and lastly it has been shown to reduce illnesses so training days are not missed. Hydration can be made better by changing the type and timing fluids being drunk either for training and/or competition. By doing so physical fatigue, through dehydration or energy loss will be reduced. This also applies to the athlete’s ability to concentrate and make decisions. If you have any further questions relating to nutrition, leave a reply below, or if you would like to book a consultation with our expert, please feel free to email us on info@fayepatison.com or call the clinic directly on 01245 690520. We are here to answer all your questions.